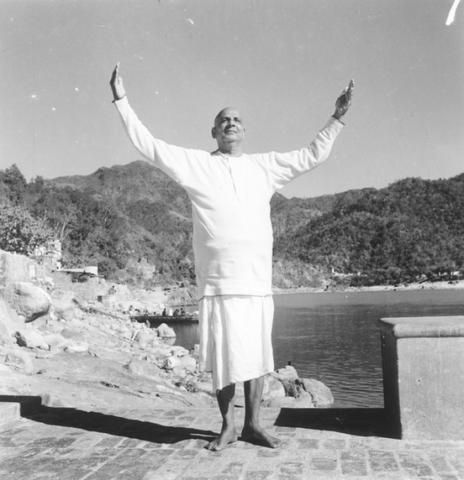 Sivananda Yoga Vedanta Center | Teaching classical hatha yoga in San Francisco since 1957. Last night local bay area Kirtan group, Uma Reed & Friends, came to lead evening Satsang. They filled the meditation and yoga hall with the truth and wisdom of God through beautiful storytelling, chanting, and playing of instruments. 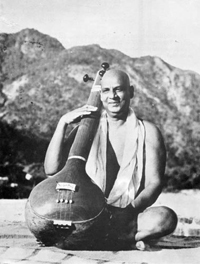 Swami Sivananda always said that singing Kirtan was the fastest way to God realization. After chanting with the band for two hours the hall vibrated with a brilliant energy of love and light; we sang the names of God and then felt the affects of God’s love through the entire Center. Om Namah Sivaya. Kirtan is singing Lord’s name. It is the easiest, surest and safest way for attaining God. Kirtan is nectar. Kirtan is divine food for the soul. Kirtan can make you immortal. Sing the Maha-Mantra, Hare Rame Hare Rama Rama Rama Hare Hare, Hare Krishna Hare Krishna Krishna Krishna Hare Hare. 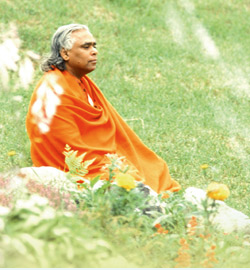 The past two mornings our theme for Satsang has been Prana, the vital energy of all life. Prana is the thread between the astral and the physical bodies. Living in a community, we are constantly exposed to others’ Prana, and although we may not see it, we feed off of the energy of others and they feed off of us. Thus, we must learn how to control our Prana. Our energy body is beyond anything physical–it is our true, eternal nature. 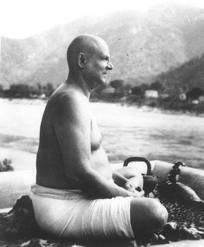 Swami Sivananda wrote a beautiful essay on Pranayama, discussing the ways we can recognize Prana and then control it. Here is an excerpt from the essay in Bliss Divine. “Through Prana the gods live, and also do men and beasts. 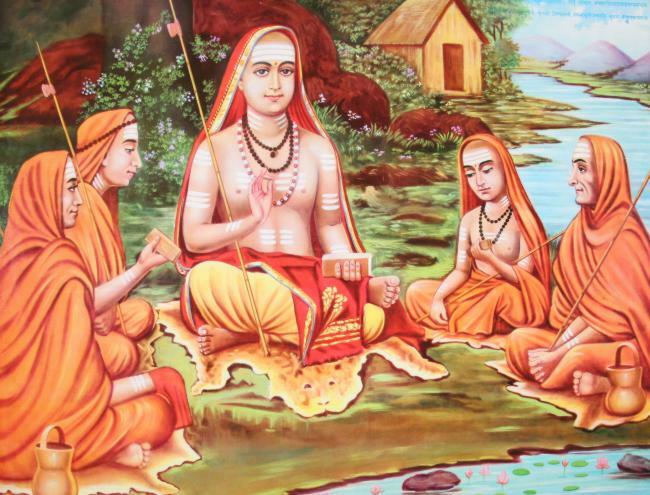 Prana is verily the life of beings. Therefore it is called the universal life or the life of all. Prana is the universal principle of energy or force. It is vital force. it is all-pervading. It may be either in a static or a dynamic state. IT is found in all forms from the highest to the lowest, from the ant to the elephant, from the unicellular amoeba to a man, from the elementary form of plant life to the developed form of animal life. Prana is force on every plane of being, from the highest to the lowest. Whatever moves or works or has life, is but an expression or manifestation of Prana. It is Prana that shines in your eyes. It is through the power of Prana the ears hear, the eyes see, the skin feels, the intellect do their functions. The smile in a young lady, the melody in the music, the power in the emphatic words of an orator, the charm in the speech of one’s beloved, are all due to Prana. Rivers flow through Prana. The aeroplane moves in the air through Prana. The steam engine works through Prana. Trains and motor cars move through Prana. Radio waves travel through Prana. Prana is electron. Prana is force. Prana is magnetism. Prana is electricity. 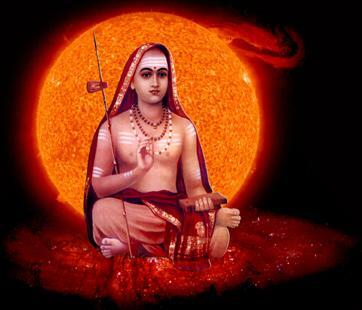 It is Prana that pumps the blood from the heart into the arteries or blood vessels. It is Prana that does digestion, excretion and secretion. Prana is expended by thinking, willing, acting, moving, talking, writing, etc. A healthy, strong man has abundance of Prana or nerve-force or vitality. The Prana is supplied by food, water, air solar energy, etc. The supply of Prana is taken up by the nerve system. The Prana is absorbed by breathing. The excess of Prana is stored in the brain and nerve centres. WHen the seminal energy is sublimated or transformed, it supplies abundance of Prana to the system. It is stored up in the brain in the form of Ojas. Ojas is nothing but Prana. In a time where the global human family and each individual is being asked to hold the dynamic changes in society, politics, and the environment our daily task can be daunting. This morning, here at the Center, we revisited the topic of fearlessness and how our Sadhana (spiritual practice) gives us the tools and clarity to face fear and anxiety with love and surrender. 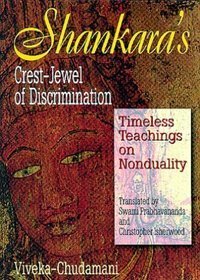 The now out of print, precious book Daily Readings of Swami Sivananda, that gives a message written by Swami Sivananda for everyday of the year, blessed us with these wise words. We hope you find inspiration and courage in every syllable. “Fear is a great human curse. It is your worst enemy. Fear assumes many forms and blights many lives. But a calm mind brings courage. Then you will face the trials and difficulties of the spiritual path without fear, Fearlessness is a divine quality. What is fear? It is an imaginary zero; it is maya’s deception. It is a mental delusion. It is a negative modification that arises in the mind-lake when one forgets his real, divine nature. It is a whirlpool that emanates from the citta (mind) when one has lost his power of vicara (enquiry) and discrimination. It is the dark wave that proceeds from the ocean of antahkarana (mind) when one has intense attachment to the body. Friends, there is nothing to fear really. Fear is due to acceptance of suggestion. Victory over fear really means victory over the thing that we fear. We attract to ourselves the very things we are afraid of. That is the universal law of nature. You need not be afraid of anything else in this world save fear itself. Auto-suggestion helps a lot in removing fear. Assert the truth of being. Assert, “Nothing in the three worlds can make me afraid. I am absolutely fearless. My will is strong and irresistible.” Make friends with the threatened experience, or the things you do not like. The raja yoga method is to repeat the formula: ” I am courageous” or “OM courage”. In the morning meditate on the virtue of courage. The devotee’s method is to pray to God with faith and sincerity and to make perfect self-surrender: “O God, make me fearless. Grant me the virtue of courage. O Mother take thy son in thy lap. Thou art fear; thou art courage. Let me see thee alone in all these forms”. Feel the invisible helping hand of the ishta devata (your own deity). Have strong faith. Real strength lies in fearlessness. Remove fear of all sorts.